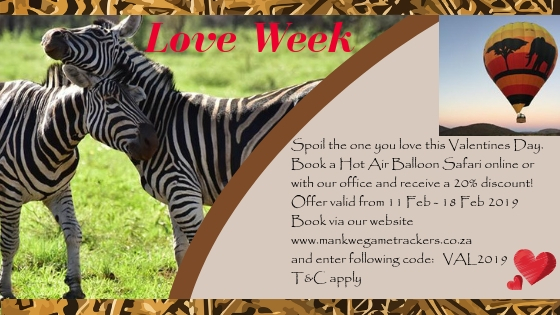 Make your Valentine’s Day extra special and join Mankwe Gametrackers for a “love is in the air”experience. This activity is conducted in the Pilanesberg National Park, next to Sun City Resort and will give you beautiful views of wildlife in their natural habitat. Book now for our Hot Air Balloon Safari special during “Love Week” 11 to 18 February 2019.